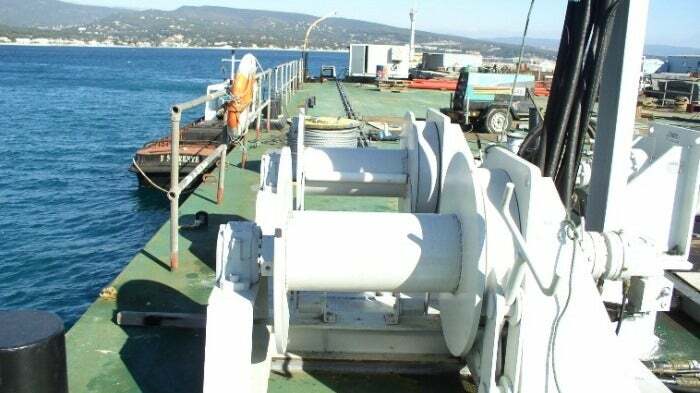 Starter manufactures electrical, hydraulic and pneumatic winches for vessels and rigs, including floating production storage and offloading (FPSO) units, pipe-layer vessels, supply boats, tug boats, oceanic vessels, dredging boats and barges. Established in 1980, Starter has developed a range of high-level utility winches dedicated to offshore applications worldwide. Starter’s range of hydraulic, air-operated and electric winches for adverse environments have lifting capacities up to 150t. Winches developed by STARTER can be mounted on-deck and under-deck. The expertise of Starter’s design department lies in the knowledge of the specific requirements of the offshore and marine industries. The company’s dedicated engineers create customized solutions and specialise in product conception and management. A wide range of solutions from Starter’s standard product range are specially designed and manufactured according to the requirements of the client. The company’s product lines are built with the best components in the market. Parts such as motors, gearboxes, brakes and sensors are selected for their proven reliability. Starter’s experience, expertise and knowledge of its clients’ businesses gained over 30 years and its understanding of its design codes and standards, including CE Machinery Directives, FEM, DNV 2.22 lifting appliances, BV, ABS, LR, RINA and GL, allows the company to provide the best advice and solutions. Starter’s manufacturing plants are ISO 9001-certified. Starter’s design department creates custom-built solutions and specialise in product conception and project management. The company’s calculation software and testing devices guarantees a high level of validation. Starter’s manufacturing includes sheet metal working, welding, mechanics and hydraulic, air and electric power. Every part or component used is mastered, proven and certified. From requirement analysis to production of the winch, Starter’s manufacturing teams help clients find the best solution for their needs. Starter also provides commissioning, training and after-sales services, with a spare parts policy based on reliability and availability in order to suit demanding maintenance needs. From solution design to maintenance through mock-up and installation, Starter’s team of dedicated engineers works with its clients and offers full support to their projects. STARTER will be present to the EUROMARITIME exhibition, one of the most important European appointment of the maritime and fluvial economy. STARTER is a designer and a manufacturer of standard and special winches, hoists and handling systems.